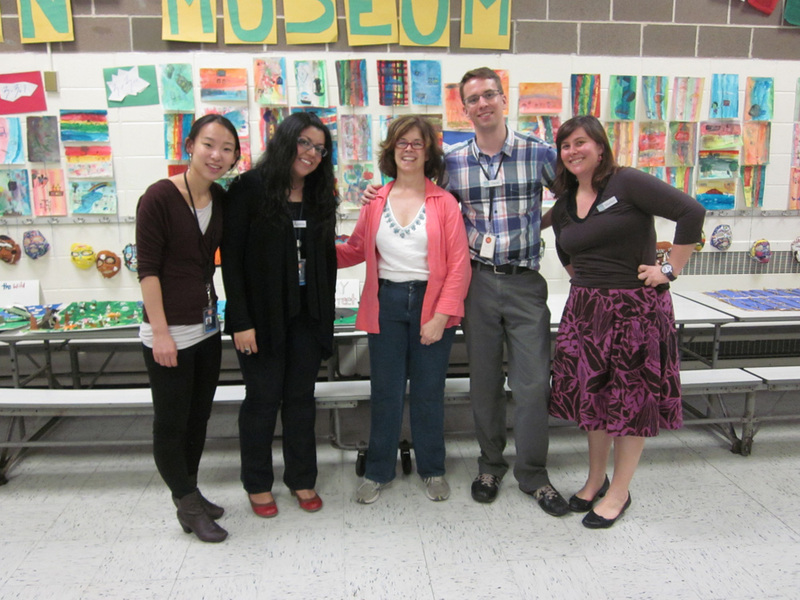 Last Wednesday night, Rukhshan, Marilyn, Anqi and I traveled to Flushing to help children, families, and teachers get creative as we represented the museum at an exciting celebration of student art, learning, and self-expression at PS 32Q. 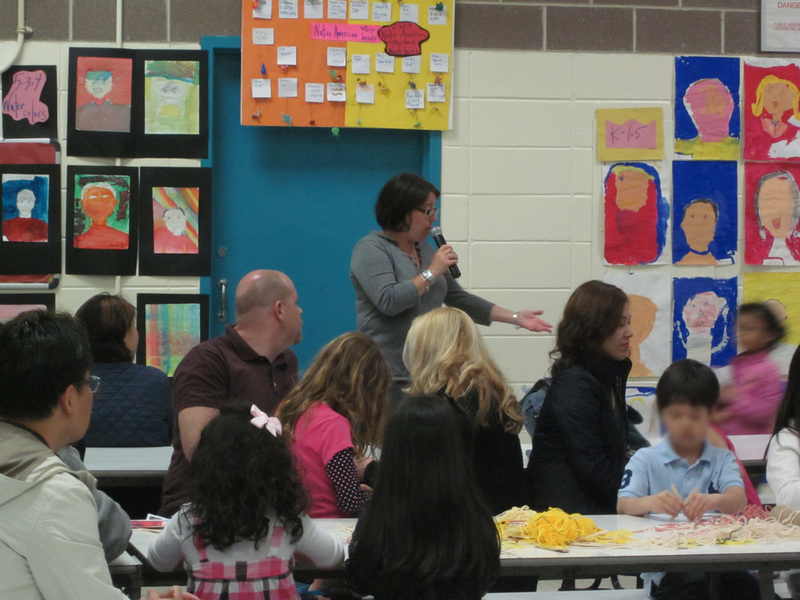 Over 80 students, family members, and teachers from the school community participated in the first annual Family Arts Night at PS 32Q, marking the culmination of the school’s Thinking Through Art partnership with the Rubin Museum of Art. The community got involved quickly! 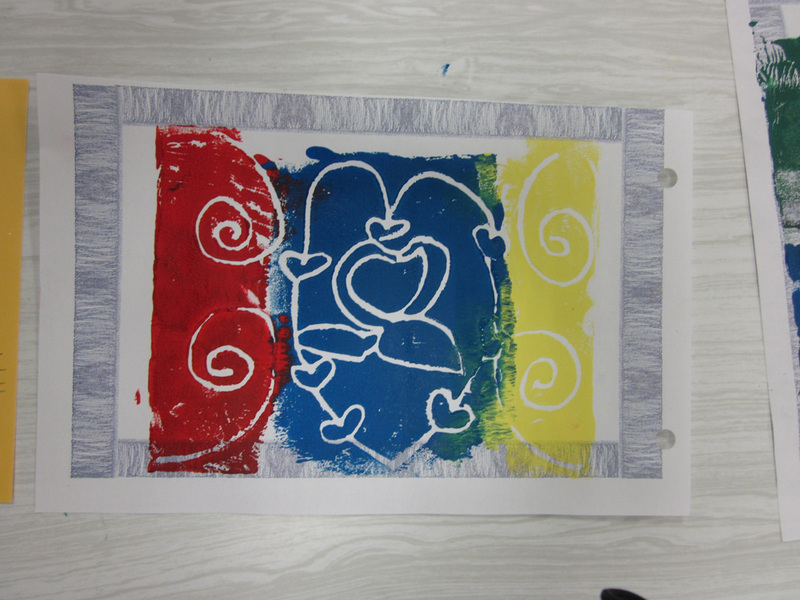 Participants had chose from a range of art projects. They used weaving techniques to make their own Tibetan namkhas, drew their own marvelous mandalas, painted personal journey thankgas (scroll paintings), and made woodblock print peace flags! 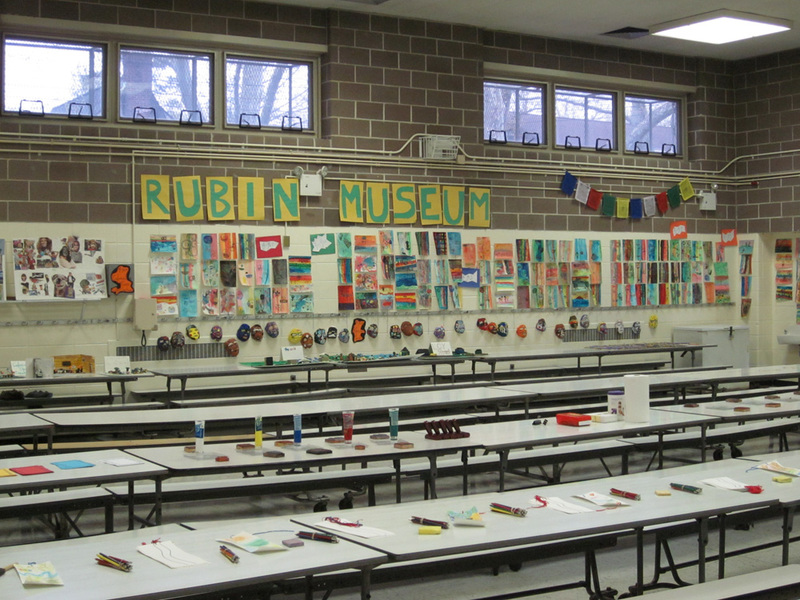 Judith Crilley, PS 32Q’s indefatigable art teacher, along with a parent volunteer, successfully secured funding from the Queens Council on the Arts for a Thinking Through Art residency with the Rubin Museum of Art. 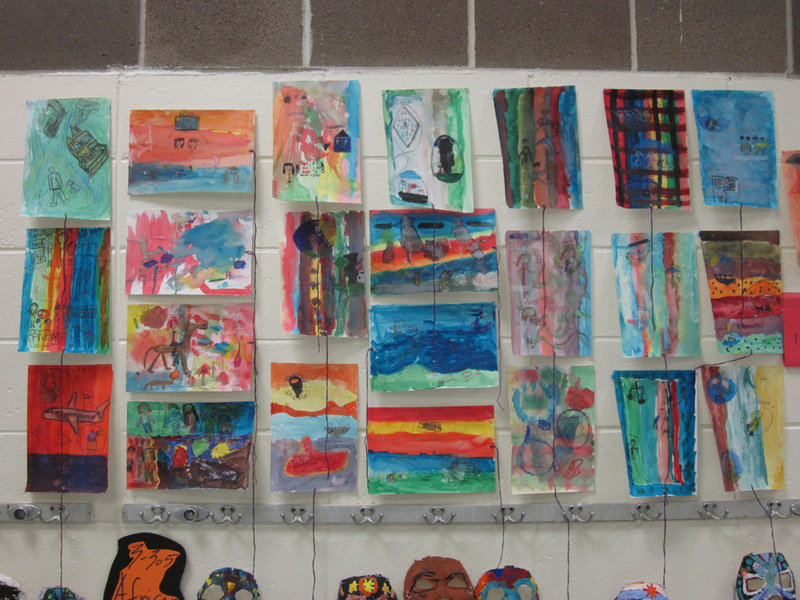 Narrative scroll paintings created during PS 32Q's Thinking Through Art residency with the Rubin were on display. 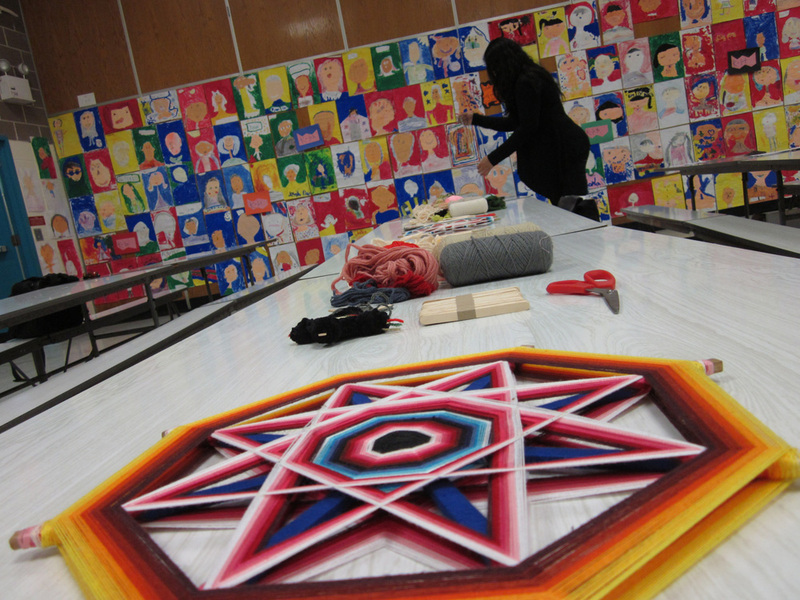 During the Spring 2011 Thinking Through Art residency, Teaching Artist Rukhshan Haque and School Programs Coordinator Lauren Appel worked with the school’s five 3rd grade classes. Over the course of five sessions (4 in-class and 1 at the museum) students explored their own ideas about narrative painting and created artworks that depict moments in their own lives, while connecting their narratives to stories found in art from the Himalayas. Rukhshan prepares the weaving art project, using traditional Tibetan namkhas from the Bon tradition as inspiration. 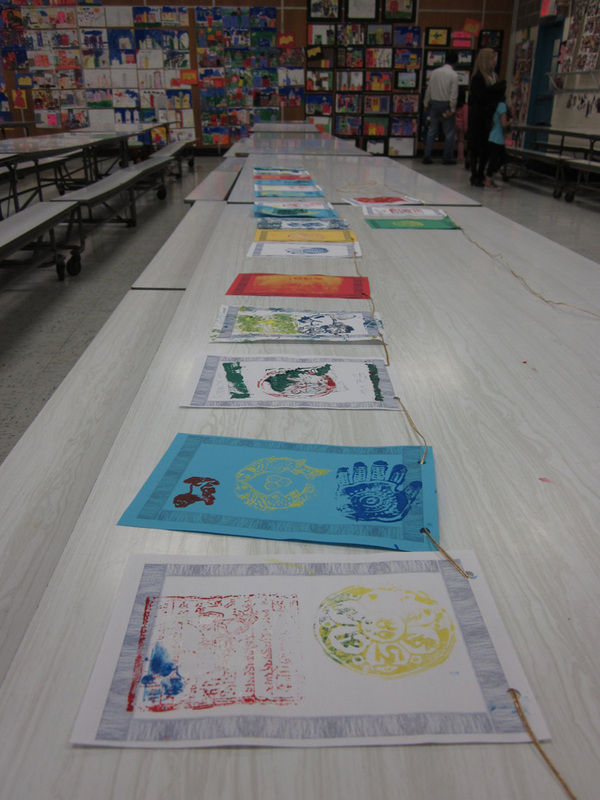 After 2 hours of activity and excitement, last Wednesday’s Family Art Night came to a close. It was difficult to convince children and families to put down their weaving projects and go home! The event represented the culmination of this year’s partnership between the school and the Rubin, and highlights the museum’s commitment to supporting and enhancing art education in K-12 schools. Prinipal Debra Errico welcomed families and museum educators alike, and reinforced the unique role of museum-school partnerships in arts education. 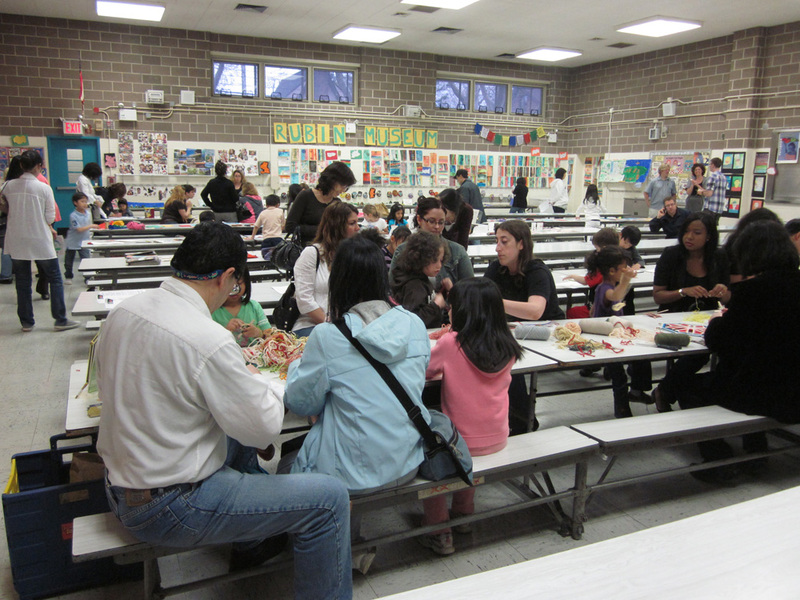 The Family Art Night was organized by Judith Crilley, Parent Coordinator Karen Mascetti, and the Rubin Museum’s School Programs Coordinator Lauren Appel with additional funds from the grant. Although Lauren couldn’t be at the event, she was there in spirit; the event, as well as the residency, could not have happened without her efforts. 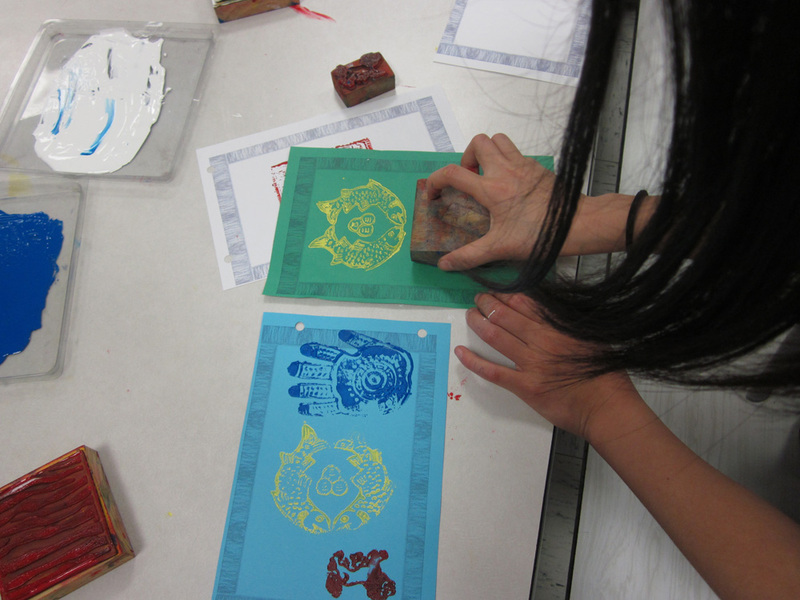 The fresh ink on a student's hand-made block print peaceflag dries. Printed peace flags dried as the evening came to a close. To learn more about Thinking Through Art and other great programs for K-12 schools, visit www.rmanyc.org/schoolprograms.  This entry was posted in Art Making, Exhibitions, Family, Gallery Tours, Himalayan Art, K-12 Schools, Museums, Outreach, Resources, Uncategorized, Visitor Experience and tagged community, School Programs, students, Teachers, Thinking Through Art. Bookmark the permalink.